Right now, DirecTV Now is only available in the US. 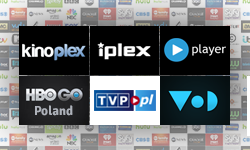 If you try to watch DirecTV Now in Canada, Italy, Poland, or any other country, you’ll either be redirected to a different page, or you’ll be told you can’t do that if you’re not in the US. Why? Because the DirecTV Now platform uses geo-restrictions to prevent “unauthorized” access from other countries. Geo-restrictions are a type of technology that allows content providers to have control over which geographical areas their content (movies, TV shows, radio stations, podcasts, etc.) can be accessed in. Geo-restrictions (also called geo-blocks) are easy to enforce because any website you access can see your real IP address. Since your IP address contains information that leaks your geographical location, the website can quickly check if your geo-location is blacklisted or not. If it is, your connection request is either denied or redirected. Why Does DirecTV Now Use Geo-Restrictions? One of the main reasons DirecTV Now content is geo-blocked outside the US is because DirecTV Now is owned by AT&T – a US telecommunications company that’s also the largest one in the world. It’s very likely that AT&T wishes to keep DirecTV Now content geo-blocked. Why would they do that? Probably because of copyright regulations, for one. After all, AT&T doesn’t really own all the content that’s on display on DirecTV Now. A lot of it is owned by someone else, and AT&T just bought the rights to stream it. So, it’s not up to them whether or not that content is made available worldwide. Besides copyright regulations, there are also licensing fees we need to consider. You see, if AT&T were to stream all their content worldwide, they’d have to purchase licensing rights in every single country in the world. On top of that, they’d also have to pay different national taxes. Overall, that accounts to huge expenses which the company likely can’t afford – despite its size. Still, while all that is understandable from AT&T’s point of view, that still doesn’t mean it’s fair that you need to put up with annoying geo-restrictions simply because you’re from a different part of the world. Since geo-restrictions work based on your geographical location, it’s pretty obvious you need to find a way to hide your geo-location when you’re on the Internet. Luckily, doing that is pretty simple nowadays – just use a VPN or a Smart DNS. 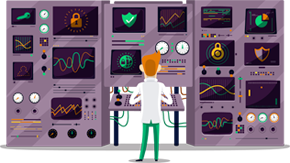 A VPN (Virtual Private Network) is a service that helps you hide your real IP address by replacing it with the address of a VPN server you connect to. So, all you’d need to do to access DirecTV Now outside US territory would be to connect to a US-based VPN server. On top of that, a VPN also encrypts your connections, making them more secure and ensuring your ISP can’t monitor what you do online or throttle your bandwidth. A Smart DNS is a simple online service that replaces your ISP-assigned DNS address with a new one. Why? Because, like your IP address, your DNS address also contains data that can reveal your real geo-location. Basically, when you use a Smart DNS, the DirecTV Now platform will think you’re based in the US. Also, the Smart DNS will intercept your connections to the website, and replace any information that can leak your geo-location with new data that points to a location in the US. Which Option Should You Try? A VPN can protect your online traffic, but the use of encryption can also slow down your online connection speeds. Granted, it’s not guaranteed to happen 100% of the time, and drop in speed might not be noticeable (plus, it depends on many factors). A Smart DNS doesn’t use any encryption, so you’re likely to get higher online speeds with this service. But the lack of encryption also means your Internet traffic isn’t secured, and that your ISP can throttle your bandwidth if they want. Also, you can’t bypass firewalls with a Smart DNS. So, you should use a VPN if you’re more concerned about your online privacy and freedom on top of unblocking DirecTV Now outside US territory. On the other hand, if you want your original ISP speeds while watching DirecTV Now content, you should opt for a Smart DNS instead. We offer the best of both worlds – a Smart DNS and a VPN service. You decide which one works best for you, but it’s worth mentioning that both services feature high-speed servers and unlimited bandwidth to ensure you can enjoy a smooth online experience. What’s more, if you ever get bored of DirecTV Now, you can always use our Smart DNS to unblock 120+ other US websites, not to mention access to content from countries like: Canada, Australia, The UK, Poland, Sweden, Switzerland, France, Germany. Use our user-friendly applications to unblock DirecTV Now anywhere in the world, or manually configure our service on the device of your choice with our step-by-step tutorials. Get access to your favorite DirecTV movies and shows no matter what country you’re accessing them from. What Devices Can You Unblock US DirecTV Now on? You can try out our services free of charge for three days first if you want. You don’t need to give out any credit card details, so there’s nothing to worry about. Plus, once you choose a SmartyDNS subscription, you’ll still be covered by our 30-day money-back guarantee if something goes wrong. Why Is DirecTV Now so Popular? 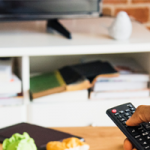 DirecTV Now is one of the best streaming platforms on the Internet, and it’s perfect for anyone looking to switch from cable and satellite to cord-cutting options. 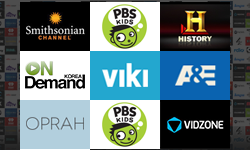 The subscription options are decently priced, offer a large variety of channels (up to 120+), and you can use the service on tons of devices (mobile, tablets, desktops, laptops, Apple TV, Roku, etc.). What’s more, DirecTV Now offers a 7-day free trial, and even lets you pay with PayPal, offering you more convenience. DirecTV Now is an awesome media streaming platform. It’s just a shame it’s only available in the US. If you’re from any other country, an expat, or away on vacation, you’re out of luck, unfortunately, since the content is geo-blocked. No need to be too upset, though, since there is an easy fix to this. Just use a VPN or a Smart DNS, and you’ll be able to enjoy DirecTV Now outside US territory in no time.